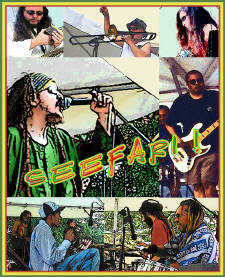 SEEFARI has performed for audiences large and small. Their music pleases crowds of all ages and cultures. Go for a pro! SEEFARI provides total volume control - soft and mellow, or rockin' the house - you decide SEEFARI will provide. 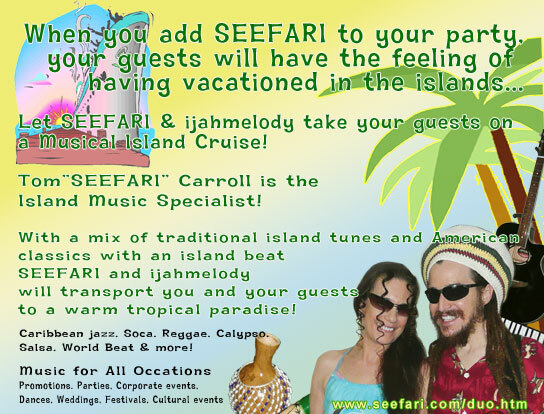 Tom "SEEFARI" Carroll is the Island Music Specialist! This Internationally renowned Reggae/worldbeat recording artist has worked with musicians from all over the world - from Jamaica to Hawaii to Africa. 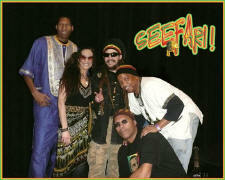 Singer/percussionist ijahmelody adds angelic high harmonies to SEEFARI’s soulful singing for a sweet vocal blend. She is skilled on a wide array of percussion instruments and her vibrant stage presence lights up the stage! 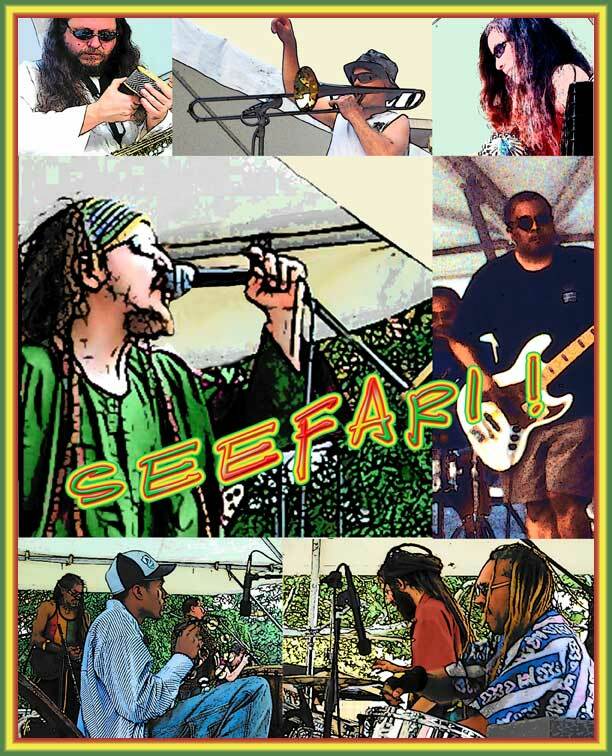 SEEFARI's world-class band features the midwest's best musicians, including long-time sidemen drummer Baba Kuti and bassist/vocalist Monkey. ► "Here comes the sun"